Educators interested in recruiting from Africa and international agents interested in sending students to South Africa. The 2nd annual ICEF Africa will take place in Cape Town in May 2019. The 2018 event brought together student recruitment agents from around the world interested in South Africa as a study destination, as well as connecting international educators and service providers with agents from all over Africa. In a recent ICEF i-graduate Agent Barometer, almost half of the agents surveyed said they viewed South Africa as an attractive or very attractive study destination. ELT student numbers increased by 19% in 2016, and student weeks by 20%. With the November 2016 resolution of a two-year discussion regarding student visa eligibility for ELT students, the sector is now poised for further growth. South Africa has also established itself as a key study destination for students from across Africa. South Africa's affordability along with the quality and reputation of South African higher education continue to be important factors in attracting foreign students. Africa is a major area of growth for outbound students and countries such as Uganda, Rwanda, Kenya, Botswana, and Ghana are emerging to complement Nigeria’s traditional dominance of the sector. In addition to meeting with agents during the event, participants can benefit from market intelligence seminars and networking receptions. All agents attending ICEF Africa are carefully selected and are required to pass ICEF’s strict screening process. Agents must provide multiple references from current business partners, as well as proof of ethical business practices and a successful track record of placing students at international institutions. ICEF Africa is the most dynamic and productive way to foster relationships with current partners and new representatives in a range of emerging markets. International educators (universities, vocational schools, boarding schools, language schools) looking to meet with quality agents from Africa. Educators from Africa looking to meet with quality agents from all over the world. High quality, carefully-screened agents from across Africa looking to meet with educators from all over the world. The event enables you to hold up to 36 pre-scheduled, one-to-one business meetings with quality student recruitment agents, as well as other educators and service providers from around the globe. These appointments are 25 minutes in duration and let you create new contacts and maintain existing relationships. The programme also includes meals, options for refreshment breaks, and evening functions, all of which offer further networking opportu-nities. ICEF Africa takes place at the Westin Cape Town in South Africa. Centrally located close to the Victoria & Alfred Waterfront and adjacent to the award-winning Cape Town International Convention Centre, it is the perfect venue for ICEF Africa. 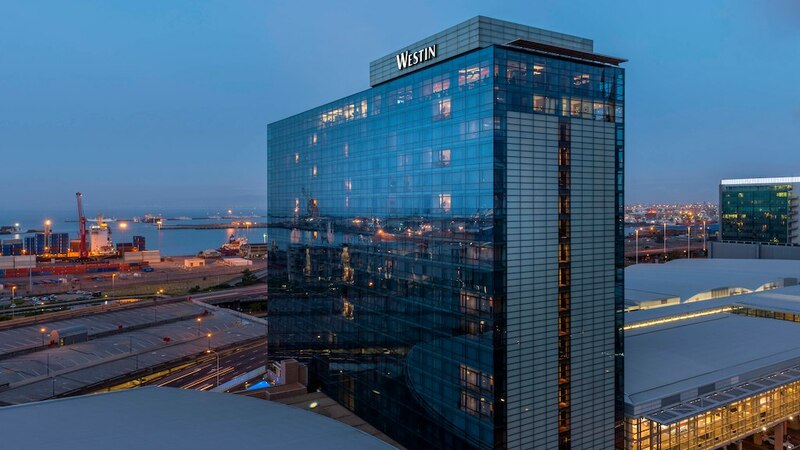 The Westin Cape Town hotel’s unique glass facade offers guests a breathtaking view over the city, Lion's Head, and Table Mountain. The hotel features a modern spa, indoor and outdoor swimming pools, various restaurants and bars with local and international cuisine, and state-of-the-art business facilities to accommodate all conference needs. Rates available for dates from and including May 12th, until and including May 18th. Rooms can be booked until	April 25th, 2019 and will be allocated on a first-come, first-served basis. I was able to connect with great agents from all over Africa and have developed excellent relations with them. As a priority market for many schools, Africa has great business potential and ICEF has effectively filled the void, giving us a forum to connect and engage with new business partners. ICEF Africa was excellent! I feel like we had a very good return on our investment. We met excellent agents who were very focused and expressed genuine interest in our university. I was delighted to meet agents from 14 different African countries. Most importantly, many of these countries are ones where we currently have no representation, so I am confident that I have filled several gaps in our coverage of Africa. For institutions looking to broaden the diversity of their student body, this event is a must. It was fantastic to have the opportunity to meet with agents who were specifically interested in the South African market. The selection of agents was very good and I felt the contacts we made will have a very positive impact on our business. We will definitely attend future events. This was a very useful and well-organised event bringing valuable business contacts together to share and talk to each other in one place, understand what other organisations do and have an opportunity to partner and work together.